CRICKET: FORMER England batsman Ian Bell has made the decision to stand down as club captain at Warwickshire. The Walsgrave-born batsman, who helped England famously regain the Ashes in 2005, made the decision to allow himself to focus on his batting as the Bears bid to reach the Natwest T20 Blast Finals Day and fight to retain County Championship Division One status. Jonathan Trott will take over as Warwickshire skipper in the five remaining Specsavers County Championship matches in 2017, with Grant Elliott leading Birmingham Bears in the NatWest T20 Blast. 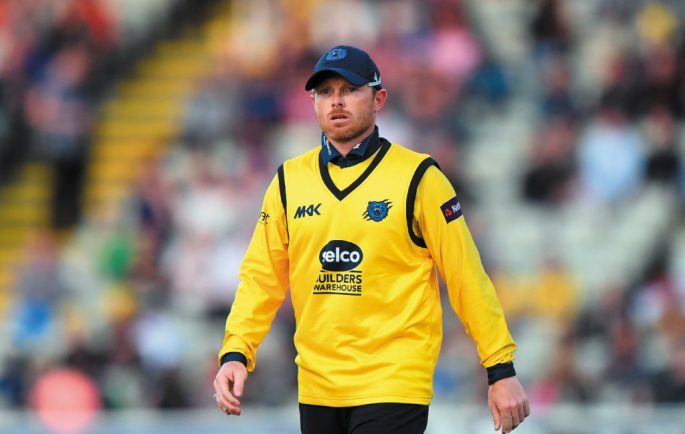 Bell, who is Warwickshire’s most capped England Test cricketer, was named Club Captain ahead of the 2016 season and went on to lead the Bears to the Royal London One-Day Cup in September last year. The 35-year-old said: “It’s been an absolute honour to lead my home county over the last 18 months and my decision to stand down is something that I have thought long and hard about over a period of weeks. “This is the right time for me to stand down as captain, to focus on my batting and scoring runs, which will be the best thing for the team. Ashley Giles, director of sport at Warwickshire CCC, said: “Ian and I have spoken regularly throughout the season and he made the decision to stand down as skipper following our Specsavers County Championship win over Middlesex two weeks ago. “The team has gone through a transformation period and Ian has been instrumental during this time, leading the team to a trophy at the end of 2016 and helping bring through several of our younger players in recent months, during a difficult period. “It’s very brave of Ian to make this decision, but one that we fully respect.